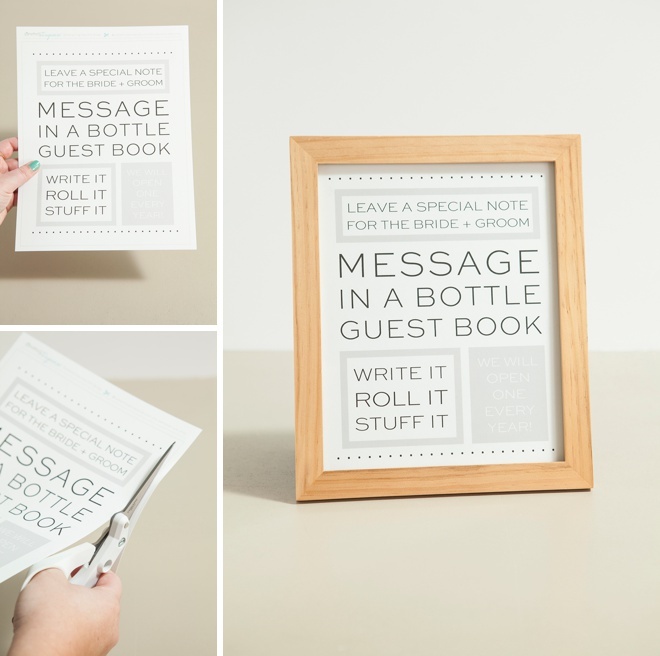 Check Out This DIY Message In A Bottle Guest Book! 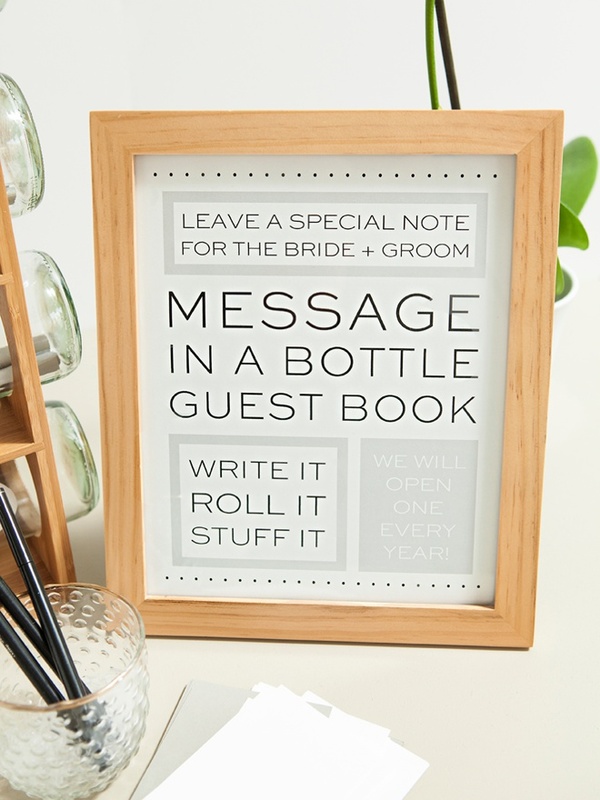 I’m a beach + wine loving gal so I adore the idea of a Message In a Wine Bottle Guest Book… especially the type that you get to continually enjoy! 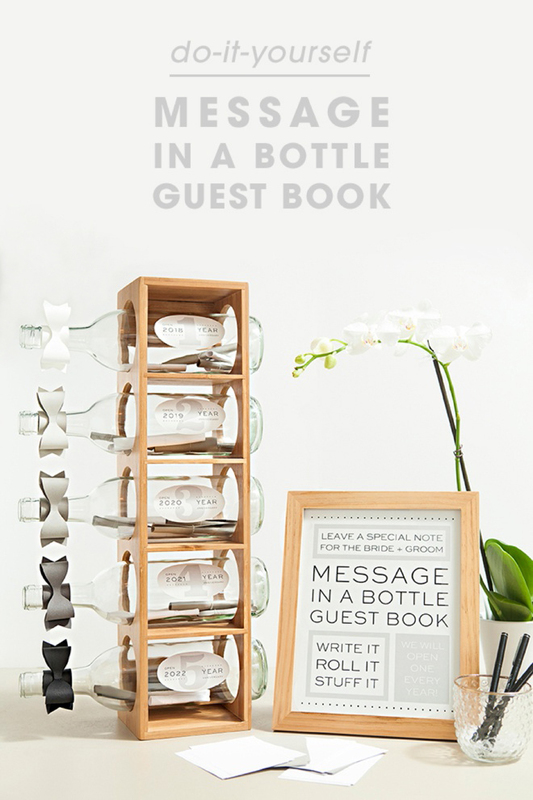 Here I’ve created a bottle display with free design downloads that will allow you to collect sweet messages from your guests and enjoy them over your first five years of marriage. 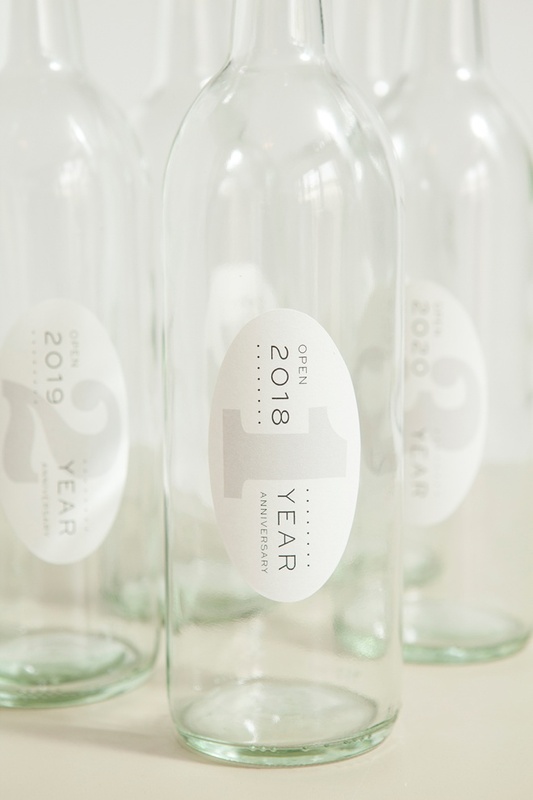 I designed labels especially for those getting married this year and next, with the actual year that each bottle messages are to be read – so you don’t get confused. 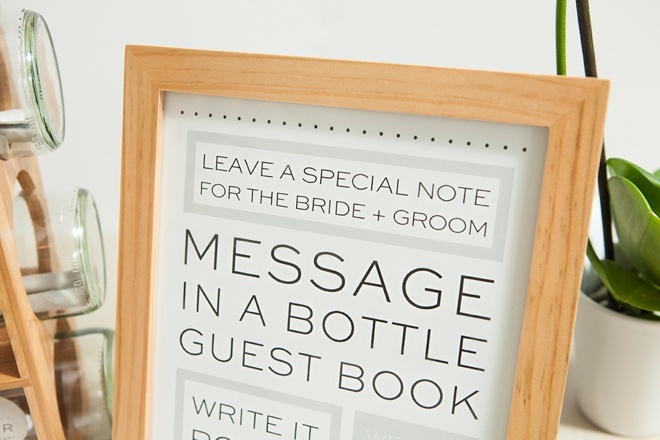 If this idea would have been around way back when I said “i do” I would have been saying I do to this guest book too! 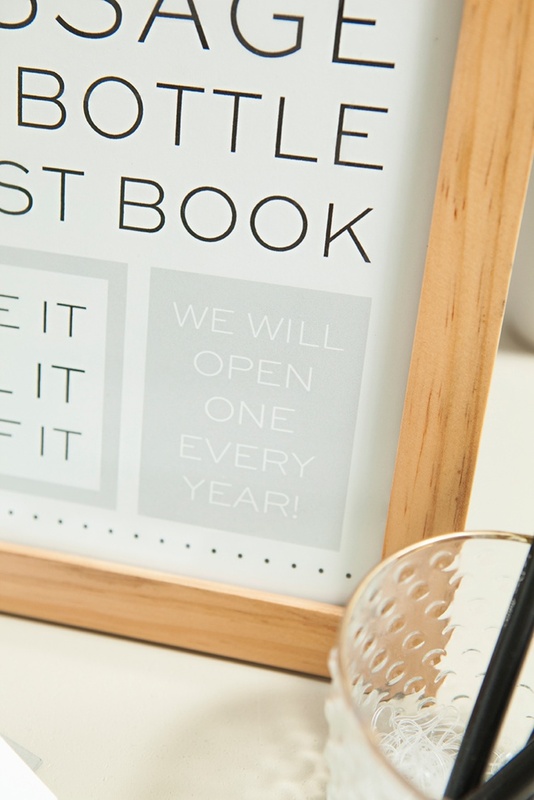 Print my free sign design onto 8.5″ x 11″ paper, trim to 8 x 10 and frame! 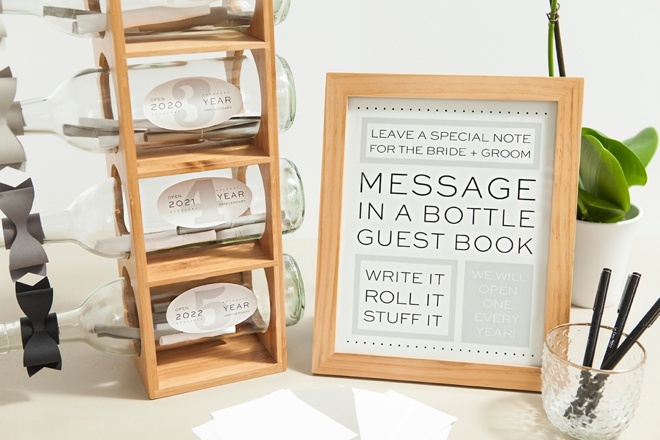 Using regular old text weight paper, cut little squares for your guests to write their messages on. I trimmed these down to 3″ x 4.5″ and got 5 per page. 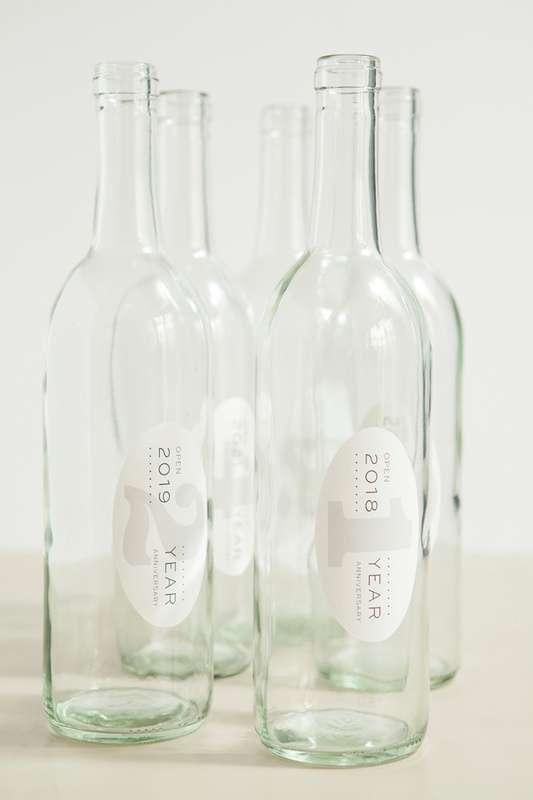 Print the correct year “bottle label” design onto either 8.5″ x 11″ sticker paper or label sheet and then cut out each oval label. 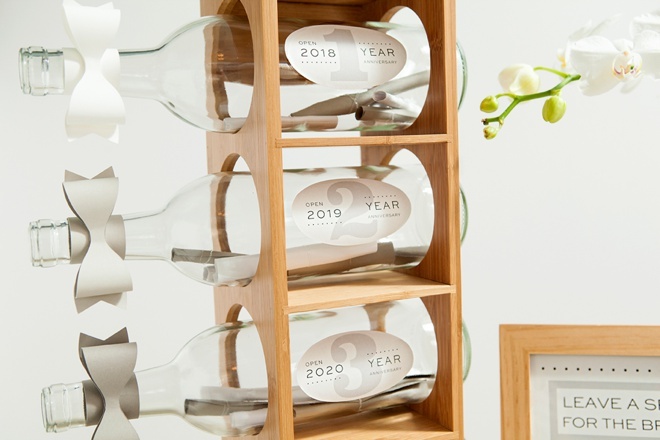 I’ve created designs for each year to correspond to the years you will be opening each bottle! 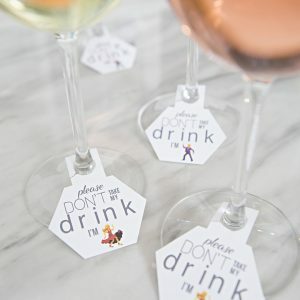 The benefit to using label/sticker paper is that the entire sheet is one solid “sticker”, meaning there is no worry of buying the correct labels and getting the printing alignment just right. 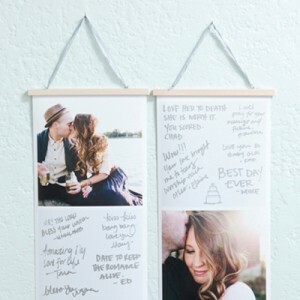 Sticker paper is one of my favorite crafting supplies! 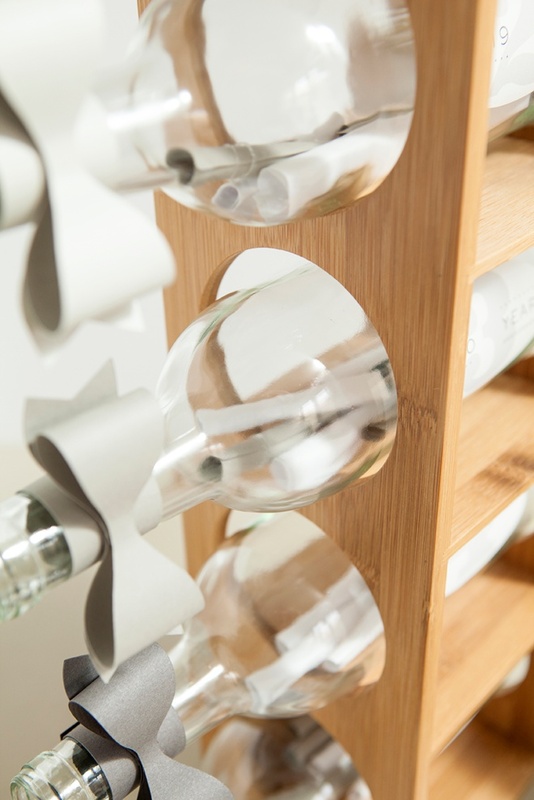 First put your bottle in your wine rack to determine where the label should be. 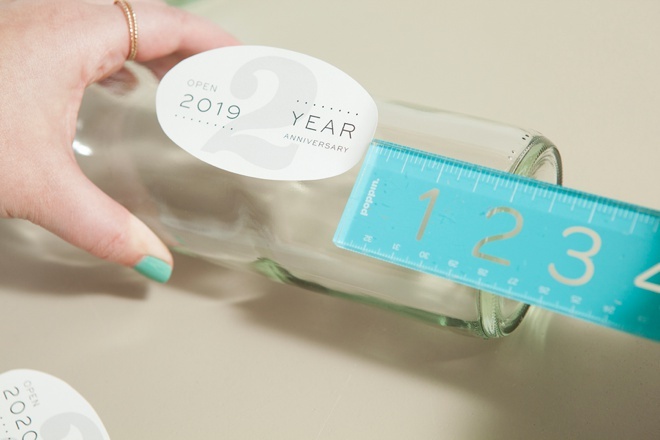 For me this was exactly 2″ from the bottom of the bottle, but yours might be different. 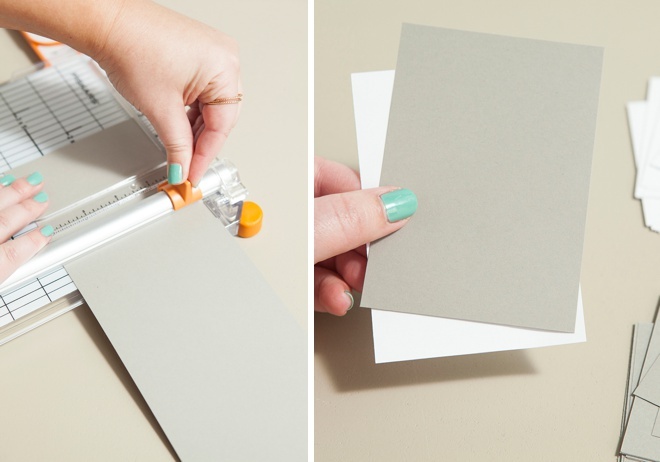 Then peel and stick! 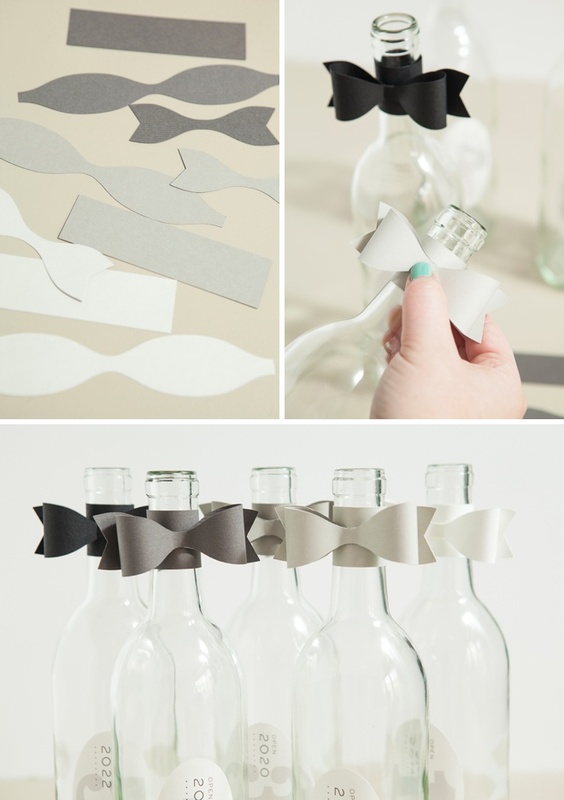 One of my favorite craft bloggers, Lia Griffith shared this adorable free pattern for paper bows and it’s one of my favorites. 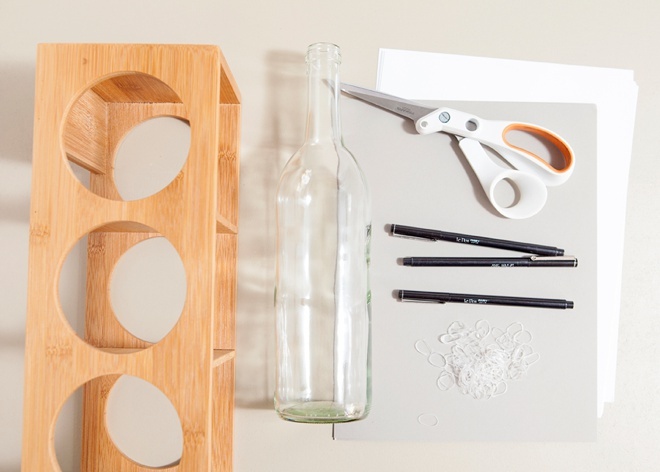 Here I’m using the second to the largest pattern to embellish the bottle necks using ombré colored cardstock. 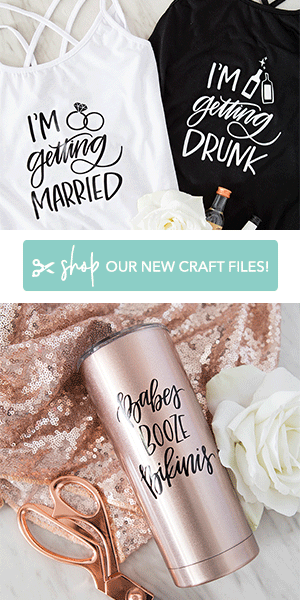 I cut mine out with my Cricut Explore Air but she also provides a print and cut pattern. 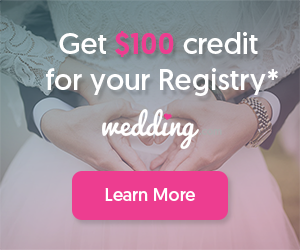 Totally optional but totally cute. 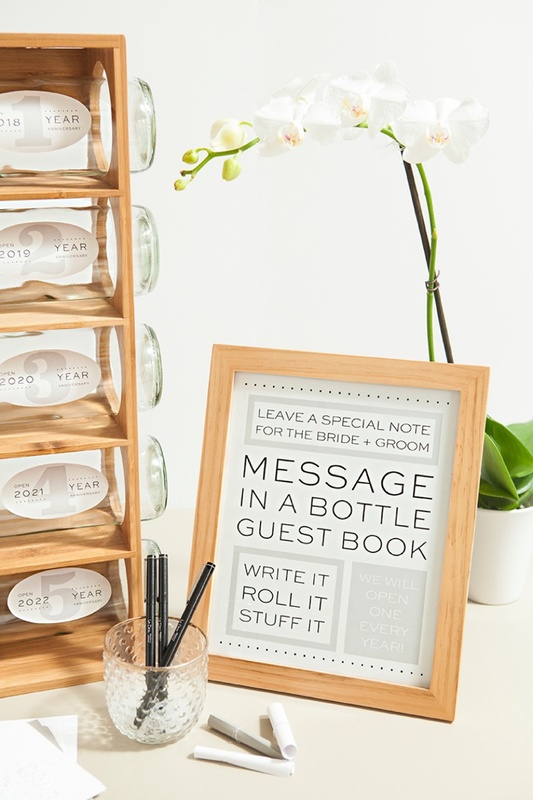 Display your darling Message In A Wine Bottle Guest Book at your reception and watch as each bottle fills up with sweet notes! 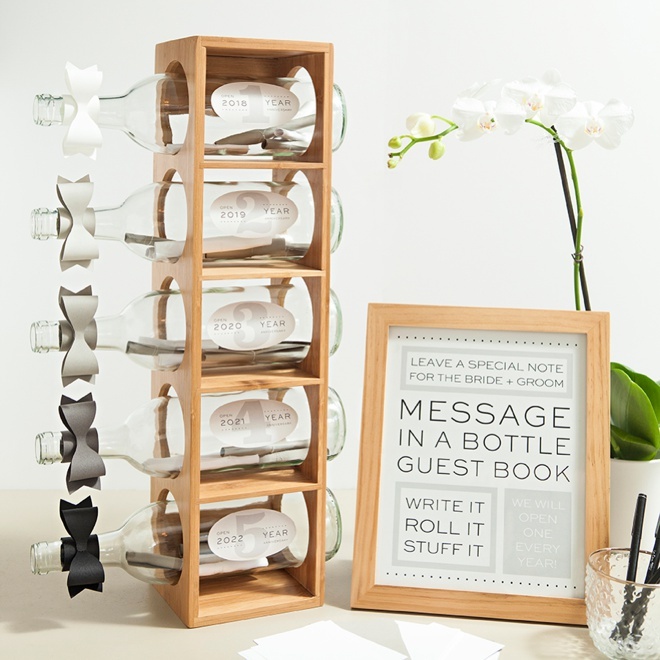 To make each message easy to shake out of the bottles when the time is right, encourage your guests to secure each note with a tiny rubber band. 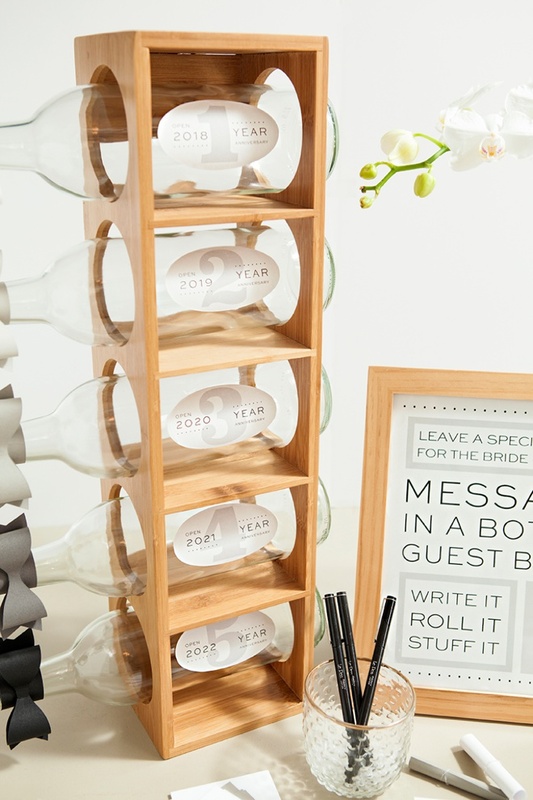 Otherwise once those little rolled messages get inside the bottles, they will expand making them virtually unable to retrieve. 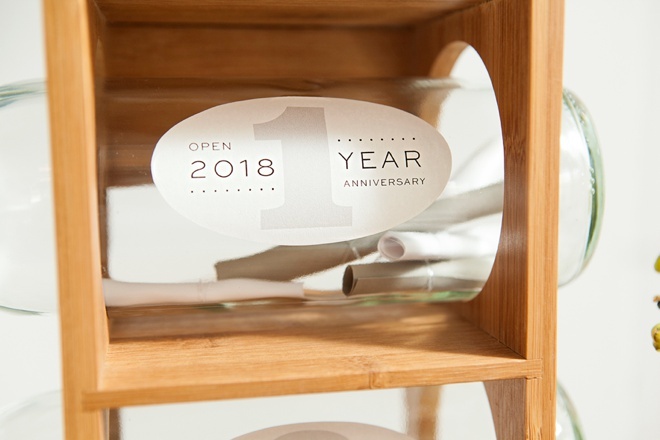 When that special day comes each year, open some bubbly, take your bottle and SHAKE all it’s notes out! 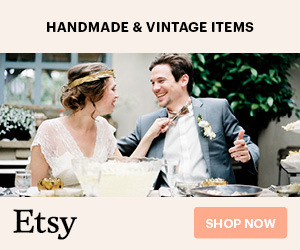 Then happily read them and reminisce with your MR or MRS. 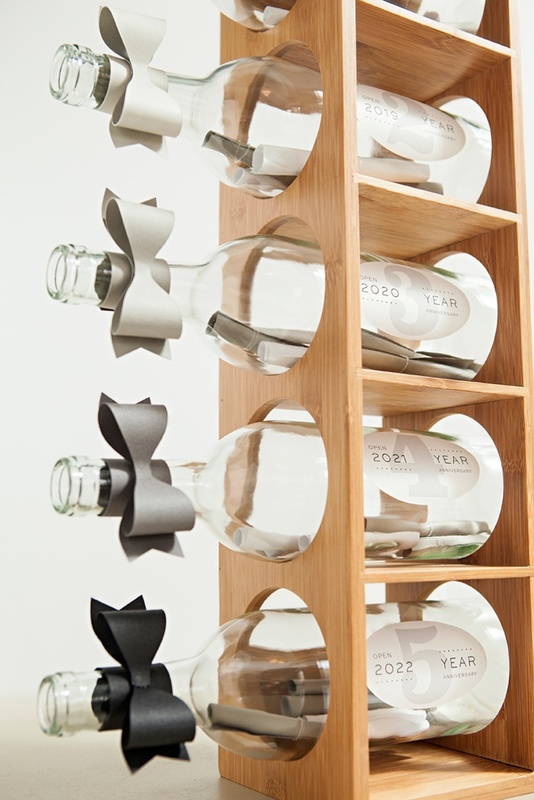 If you really don’t want to shake the notes out, I guess you can break the bottle.